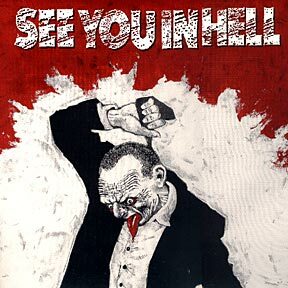 See You In Hell are from Brno and contain/ed members of Mrtvá Budoucnost, Los Sommros, More Bad News or Tummo. Recorded in studio "Šopa", press 1000 LP /500 tape, LP - Ultima Ratio/Insane Society Records, Tape - Phobia/Insane Society Records). 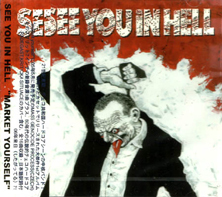 CD 500 pcs, Too Circle Records - Japan. Reeditions: tape on Ibuku Dipekoza (Indonesia), Twisted Justice (Croatia), CxAx Music (Russia), CD on Cryptas/Bazar Rock/Endless Brutality Of Men (Mexico/Chile), CDr on UHP Distro Wahnfried Records (Spain/Gemany).